Having a beautiful smile and great oral health isn’t something that just happens because it requires good habits and great care. 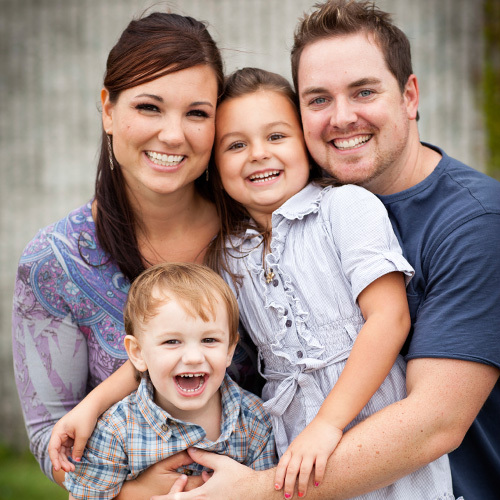 At Pryor Family Dental we want to help you and your family receive top quality dental care, so that can have fantastic oral health and the beautiful smiles you deserve. We are proud to be a family dentist, and to treat patients of all ages throughout their lives. It is a wonderful thing for us to see entire families with happy, healthy smiles because they chose to commit to the same thing we’re committed to, great oral health. Because of this, we do our very best to offer a wide range of services that can help you and your family reach your smile goals. Teeth Cleanings | Also known as a prophylaxis, a regular teeth cleaning can make a huge difference in the quality of your oral health. By having your teeth cleaned regularly, you can make sure you’re staying on top of potential issues, remove harmful bacteria, and keep your teeth clean and beautiful. Dental Fillings | If you do wind up with a cavity, we have you covered. We offer beautiful tooth colored fillings that match natural teeth and help repair the damage caused by cavities. Root Canals | If a tooth of yours has become deeply infected, a root canal in many cases can help stop the infection and help your oral health get back to where it needs to be. These services are just a few of the wonderful general & family dentistry treatment options we have available at Pryor Family Dental. Have any questions about the services we provide? Please give us a call today!